Can Honduras' housing market recover amidst escalating human rights abuses? Honduras' housing market continues to show signs of improvement since last year, after dramatic house price falls in 2009. House prices started picking up at the beginning of 2010 with developments and infrastructure investments announced by both public and private sector. 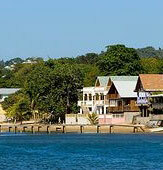 According to Marci Wiersma, broker and owner of About Roatan Real Estate, house prices were about 40% off their peak or even higher, by the end of 2010. Most buyers looked for properties ranging from $200,000 to $250,000 that could already get them a beachfront condo o a three-bedroom house on a hill. The cause of the house price decline? Honduras' traumatic 2009 coup that ousted its former leftist president, Manuel Zelaya. Honduras has a long history of military, civil and political conflict, massive corruption and government inefficiency, inequality, and poverty. Volcanic activity, earthquakes and hurricanes have devastated the country. The main cause of Zelaya's ouster was his attempt to rewrite the 1982 constitution to remove term limits. The Honduran military, acting on the orders of the Supreme Court, conducted the coup to preempt a referendum. And as the global financial crisis struck in 2009, Honduras also suffered an economic contraction by 2.1%, resulting from a reduction in export demand to the US, and tighter credit markets. "It was a disastrous year for anyone wanting to sell," said Janine Goben, the owner of Re/Max Bay Islands. The political situation has been somewhat stabilized and the economy has rebounded with 2.77% GDP growth. But the attempts of newly-elected Porfirio Lobo Sosa, of the right-wing National Party, to reconcile the nation have run into deteriorating human rights situation. Militarization has reached alarming levels, with the police and military trying to keep their traditional grip on drug and extortion profits, by murdering prominent critics. A 100 sq. m. house along the a Bay island beach can earn very healthy yields of perhaps 35%. The figure is calculated for weekly rentals and an estimated 3 months vacancy each year. Yields for other sized properties range from 12% to 21%, with bigger places earning generally lower yields. Apartments in Honduras' capital and other major cities have much lower rental yields of around 4% to 6%; however, 300 sq. m. apartments might typically yield up to 8%. Houses in major cities' suburbs might typically yield from 6% to 8%. Rental Income: Net real estate rental income of nonresidents is taxed at 25%. Capital Gains: Capital gains earned by nonresidents are taxed at a flat rate of 25%. Inheritance: Inheritance is not taxed in Honduras. Residents: Residents are taxed on their worldwide income at progressive rates, from 10% to 25%. The total round-trip transactions costs are around 9.65% to 11.65%, inclusive of the 5% real estate agent’s fee, which is paid by the seller. The total cost of registering property is around 6.65% of the property value. The registration process involves seven procedures and can be completed in about 22 days. Rent: The initial rents and rent increases are generally set freely by the parties. However, if the value of the property being rented is below US$2,000, it is the Rent Tribunal that sets the rent. Tenant Eviction: The eviction procedure and collection of unpaid rent can take a long time. The time period to resolve a lawsuit of eviction in the Tenancy Tribunal is unpredictable, due to the ineffective legal system - all channels available to the tenant are typically used to delay the trial. In a traumatic military coup, in June 28 2009 soldiers took president Manuel Zelaya in his pajamas early to an air force base, where he was put on a plane that carried him to Costa Rica. The Honduran Congress voted for Zelaya's ouster later that day, replacing him with Congress president Roberto Micheletti. The main cause of Zelaya's ouster was a dispute over rewriting the 1982 constitution, which Zelaya believed had helped worsen the country's widening poverty gap. However the Supreme Court, as well as the National Congress and all other democratic institutions in Honduras opposed Zelaya's plans, arguing that the attempt to eliminate presidential term limits could initiate one-man rule like that of his friend, Venezuelan President Hugo Chavez. The Honduran military, acting on the orders of the Supreme Court, conducted the coup to preempt a referendum on a constituent assembly. 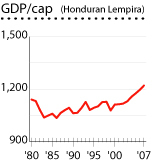 As the global financial crisis struck in 2009, Honduras also suffered an economic contraction, with a 2.1% GDP decline. Honduras’ export-oriented economic growth is dependent to its largest trading partner, the United States. With more than 90% of remittances coming from the US, which was in recession in 2009, the amount of remittances dropped to S$2.5 billion. Despite a dramatically deteriorating human rights situation, Honduras' economic performance bounced back in 2010, with 2.8% GDP growth based on increased domestic demand and a more favorable outlook for the US, Honduras’ largest trade partner. It is expected that the economy will grow by 3.7% in 2011 and 4% in 2012. The IMF predicts that inflation will be 7.6% in 2011, which is within the target. However the political situation seems to be deteriorating. There has been an enormous escalation of human rights abuses, with more than 17 journalists killed during the past 2 years. Government officials have also been targeted, especially those linked to the fight against drug trafficking. Murders of students have multiplied, and the US has been forced to withdraw its Peace Corp program. Former President Manuel Zelaya returned to Honduras last May 28, 2011 in an agreement between him and President Lobo that corruption charges against him would be dropped. Shortly after Zelaya’s return, the truth commission ruled that his removal had been a coup, illegal, and not a constitutional succession as some opponents argued. However it also ruled that Zelaya’s referendum on constitutional change had itself been illegal. Recently former anti-drugs adviser Alfredo Landaverde was shot dead in Tegucigalpa. Landaverde accused police officers of being behind the murder in 2009 of the country's head of anti-drug trafficking operations, retired Gen Julian Aristides Gonzalez. In November, President Porfirio Lobo sacked his top police commanders and deployed troops to combat crime, but his use of the military has itself been cricitized.